Death is one thing that all the people in this world must face. 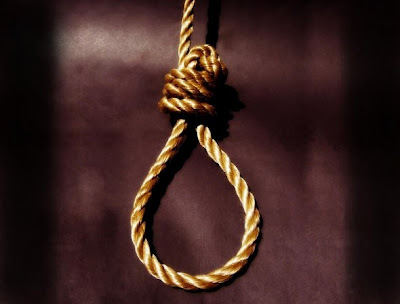 The death does not ask any permission to take one's life, no matter how far a person is famous. Below is a list of 20 notable entertainers who died during a performance, live or while filming. 4, September 2006. 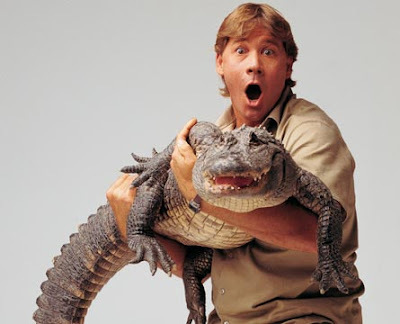 Steve Irwin, known as “The Crocodile Hunter”, was stung and killed by a stingray while filming an underwater documentary entitled Ocean’s Deadliest. 9, November 2008. 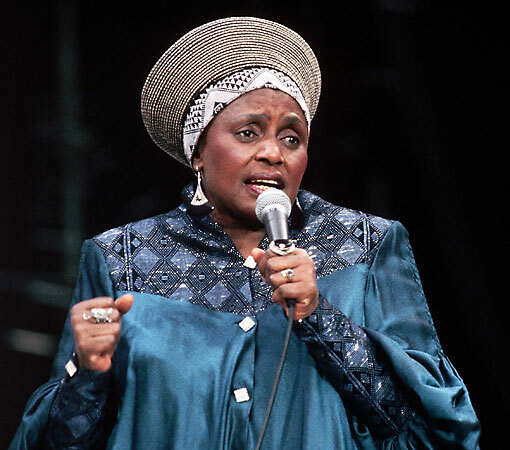 Miriam Makeba, nicknamed Mama Africa, suffered a heart attack shortly after singing her hit song, “Pata Pata” in a concert held in Castel Volturno, near Caserta, Italy. 3, October 2005. 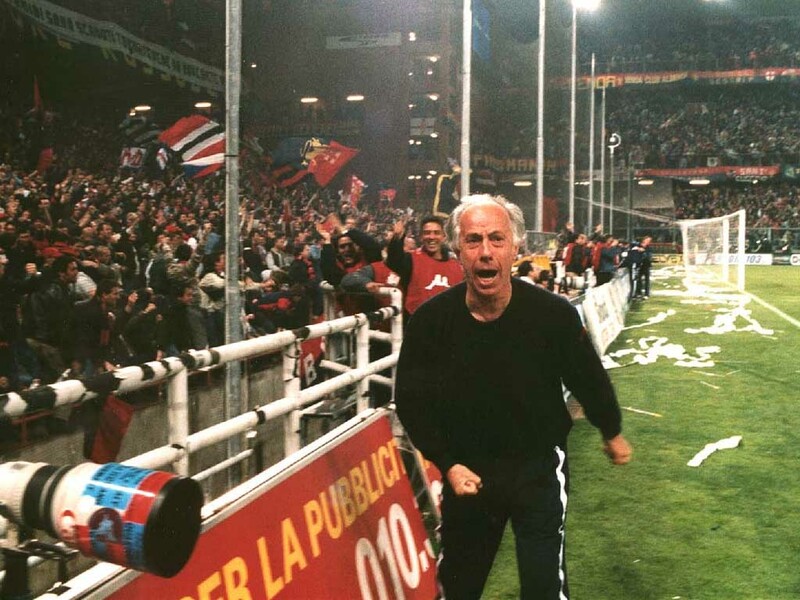 Franco Scoglio, Italian football manager and sport TV commenter, died of a heart attack at 64 years of age while on the air during a program on the Genoan private TV station Primocanale, after a heated discussion over the phone with Genoa chairman Enrico Preziosi. He passed out in his seat while Preziosi continued with his call. 8, December 2004. The ex-guitarist of metal band Pantera, “Dimebag” Darrell Abbott, was murdered on stage by a gunman while performing with his new band Damageplan at the Al Rosa Villa in Columbus, Ohio. 23, May 1999. 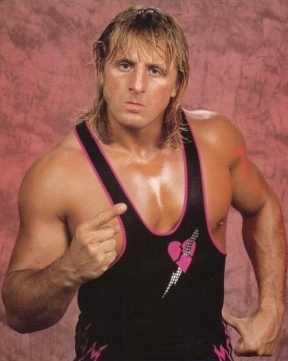 Owen Hart, a Canadian-born professional wrestler for WWF, died during a pay-per-view event when performing a stunt. It was planned to have Owen come down from the rafters of the Kemper Arena on a safety harness tied to a rope to make his ring entrance. The safety latch was released and Owen dropped 78 feet (24 m), bouncing chest-first off the top rope resulting in a severed aorta, which caused his lungs to fill with blood. 3, July 1999. 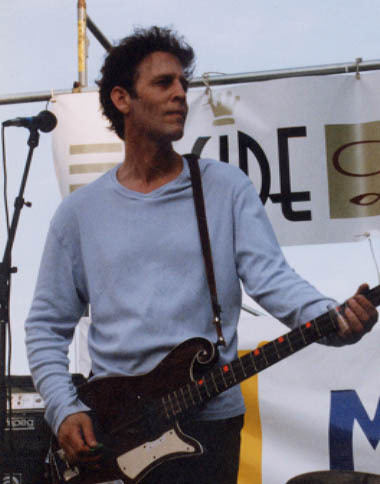 Mark Sandman, bassist and lead vocalist for the band Morphine, collapsed on stage at the Giardini del Principe in Palestrina, Latium, Italy (near Rome) while performing with Morphine. He was pronounced dead of a heart attack. 31, March 1993. 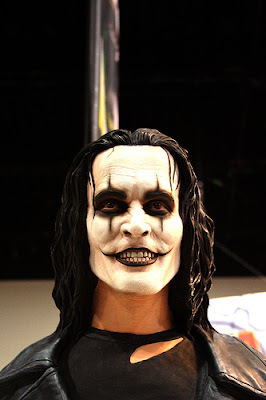 Brandon Lee, son of martial artist Bruce Lee, died while filming the movie The Crow. A prop gun had been squib loaded, causing the blank cartridge to propel the bullet into Lee and kill him. Contrary to urban legend, the footage of his death was not kept in the movie. Instead, they re-shot the scene using a different actor, whose death in the film was by a throwing knife. 11, October 1991. 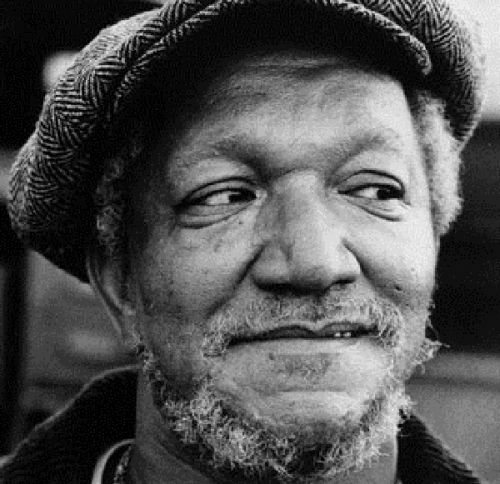 John Elroy Sanford- Redd Foxx, best known for his role in Sanford and Son, suffered a fatal heart attack while on the set of his upcoming sitcom The Royal Family. 15, April 1984. 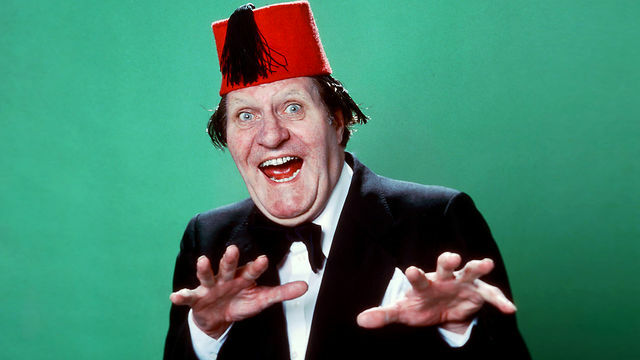 Magician and comedian Tommy Cooper suffered a heart attack during a performance on the TV variety show Live From Her Majesty’s. 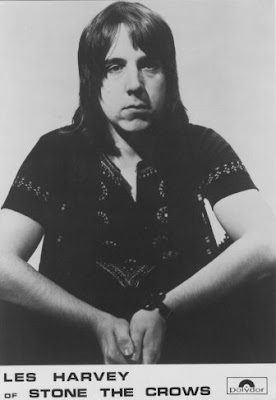 Cooper was famous for getting his illusions deliberately and comically wrong, and for some minutes the audience assumed that his sudden collapse was just part of the act. 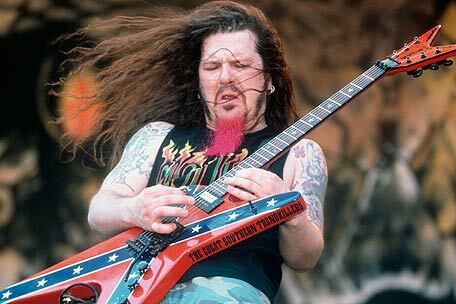 Efforts to revive him backstage failed, and he was taken to a hospital where he was pronounced dead on arrival. The video of him collapsing was posted on YouTube, it can be found by searching ‘Tommy Cooper death’. 25, December 1954. 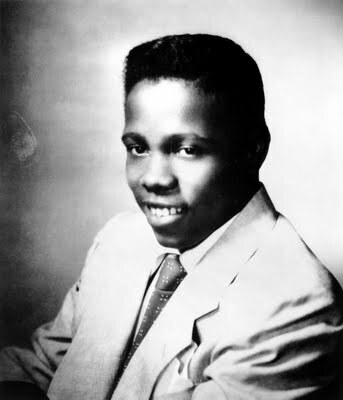 Johnny Ace was an American rhythm and blues singer. He scored a string of hit singles in the mid-1950s before dying of an accidental self-inflicted gunshot wound. 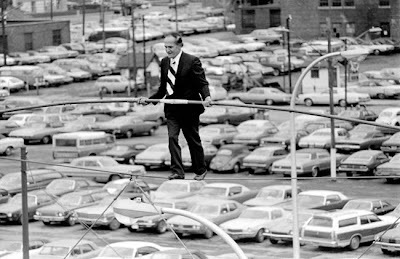 Karl Wallenda was the founder of The Flying Wallendas, an internationally known daredevil circus act famous for performing death-defying stunts without a safety net. 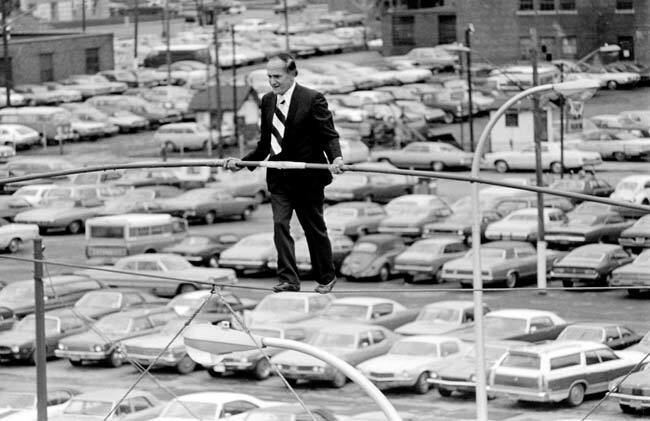 In 1978, at age 73, Wallenda attempted a walk between the two towers of the ten-story Condado Plaza Hotel in San Juan, Puerto Rico, on a wire stretched 37 metres (121 ft) above the pavement, but fell to his death when winds exceeded 48 kilometres per hour (30 miles per hour). 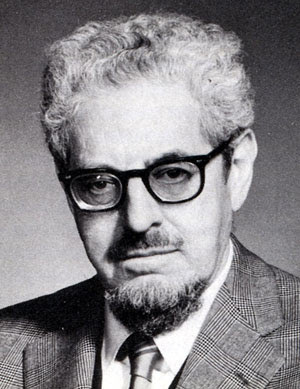 Paul Mantz died on July 8, 1965. while working on the movie The Flight of the Phoenix, produced and directed by Robert Aldrich. Flying a very unusual aircraft, the Tallmantz Phoenix P-1 built especially for the film, Mantz struck a small hillock while skimming over a desert site in Arizona for a second take. As Mantz attempted to recover by opening the throttle to its maximum the over-stressed aircraft broke in two and nosed over into the ground, killing Mantz instantly. Jon-Erik Hexum was an American model and actor. 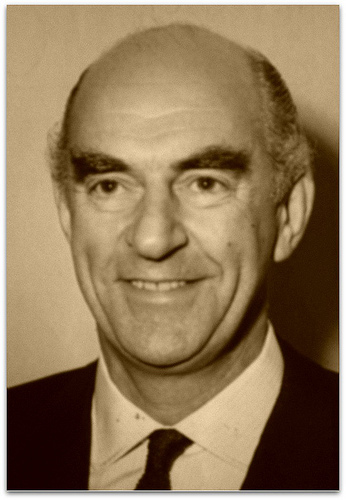 In October 18, 1984. he died as a result of a firearms accident on the set of the CBS television series Cover Up in which he played the male lead. 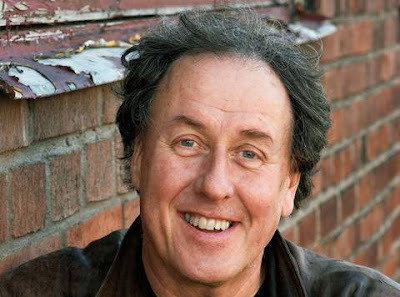 Lasse Eriksson was a Swedish comedian, actor and writer. Eriksson died 3, March 2011. on stage during the show Fyra lyckliga män 2 (Four happy men 2) at the Regina Theatre in Uppsala. In 1969, Comedian Kenneth Horne, star of the successful radio show Round the Horne, died of a heart attack while hosting the annual Guild of Television Producers' and Directors' Awards at the Dorchester Hotel in London, moments after the show scriptwriters had received an award and Horne had urged the audience to tune in to its next series which had been due to commence shortly. In 1979, ABC television journalist Bill Stewart was in Nicaragua, filming about the war destruction, when he and his interpreter Juan Espinosa were executed by a National Guard soldier. Stewart's crew managed to film the incident, and it was aired on international news stations repeatedly in the following days. In 2000, Actor Renato Di Paolo was portraying Judas in a play outside of Rome on the day before Easter. During the hanging scene he accidentally hanged himself.